AE is involved with the manufacture and export of a whole range of ventilation ducts. Supplied throughout the country and international markets, our ducting system is trusted for its long life and low cost despite strength. We also fabricate and supply a reasonably large gauge of Flexible Ventilation Duct, which is fabricated using 25 SWG GI sheet. We also make good use of rock wool, and aluminum perforated sheet in our product. 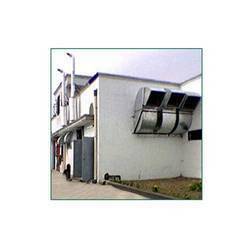 Our ducting is popular for industrial cooling needs. In addition, our ducting mechanism comes pasted with high-grade wool. Looking for Ventilation Ducting ?